This entry was posted in blogs, books, culture, lifestyle and tagged Bookmobile, National Library Week. What a wonderful post. 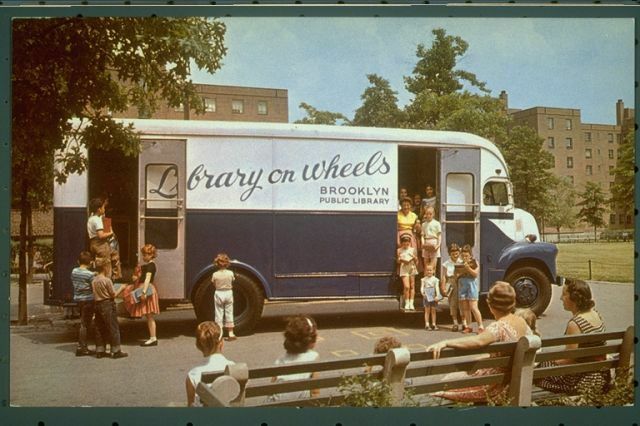 Did your bookmobile library have different books available every week? If memory serves me well, there was a core collection that moved with the Bookmobile each week, with newer books as they became available. Of course, as my longtime dear friend reminds me in her comment, it was a wondrous mix of old and new each week. Oh the joy of making the Wednesday trip to our bookmobile. I loved everything about it.. the darkness, the silence and yes that musty old smell. In this small space we could be anyone or go anywhere. We just had to get on our tippy toes and reach high. The walk back to our apartment was with excitement and mystery because in our hands were a stack if new adventures and a worn stamped library card. Oh Deb, to share these memories with you. Deliciously special. And here we are, all those years later, reminiscing about a very special time. 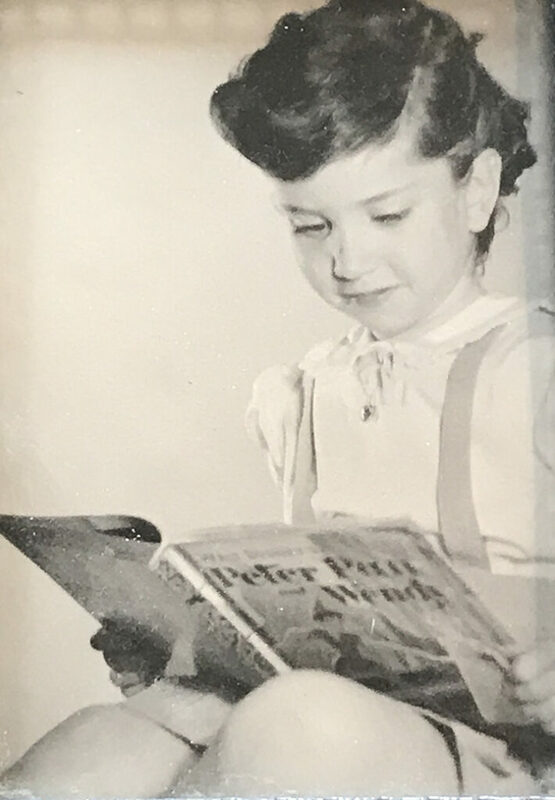 Magical post, Deborah, not only for the obvious charm of a young girl smitten by books, but also for its ability to stoke my own precious memories of my cherished book-beginnings (Richard Scarry was involved). Oh, how I love libraries! And Bookmobiles–don’t get me started! Such a wonderful post.